As promised, more photos today from an auction in the Bowling Green, Missouri Amish settlement. These were taken in May of last year, by Beth Russo. Bowling Green is the oldest Amish enclave in Missouri, dating to 1947. 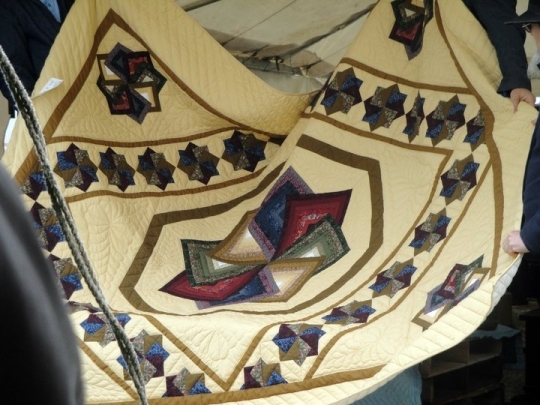 Quilts of course are a staple of Amish auctions. I quite like this design. And something for the sweet tooth. Beth says it was too chilly that day for a dip, though. 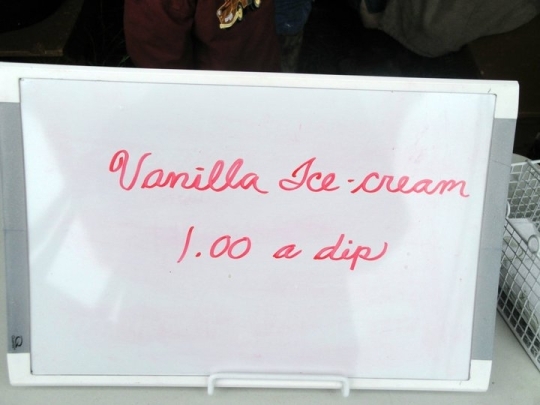 If you’re a kid, it’s never too chilly for ice cream, of course. These guys might be getting their clothes washed, whether they like it or not. Loved that quilt and the colors! Wonder if its the windmill design? I would love to go to an Auction the Amish have for those quilts and other wonderful things they make. The quilts always catch my fancy. Thank you Beth for the photos! Keep them coming if you can. Loved that beautiful quilt. I would love to go and see all the things they have at an Amish auction. Mostly the quilts as they are a favorite of mine. Very nice pictures. Would be interesting to go to an Amish auction. Wonder if non-Amish are allowed to attend? Nice pictures. But (Climbs Soapbox) I must say, many here respect the Amish and admire the way there culture functions, however, most know they do not like to have there picture taken, even from the side or the back. Just because they tolerate some picture snappers, does not mean one should start snapping. In their culture they do not take pictures, so why does some intrude in their space and snap pictures. I mean no disrespect to the photographer who took these pictures, this is not directed at you personally, I have just been noticing this kind of thing a lot lately. (Climbs off of soapbox). How much do pictures affect the Amish? There are a number of pictures on the internet of the community I was with, and a neighboring community too. I told my friends that these pictures were on the internet, and they did not like it at all. They even talked about it in a church meeting to find out what to do about it. (They decided that there was nothing to do, so they let it lay). Still, I identified one of the horses and the buggy it was pulling as one that I had driven. When I told the owner that a picture of his wife getting out of the buggy was on the internet, the woman broken down and cried her heart out. She had endured bearing 12 children and survived a extremely severe large burn. These thing barely made her cry, but her picture on the internet was severe torment. I was upset to have caused her so much hurt. I asked the person to remove the picture and was ignored. Think about what you are doing before you click that camera, please. Make sure the people are comfortable with having their picture taken first. I do not think we have a right to someone else’s likeness without their approval. Again, I know things vary by districts and communities, but I do understand where you’re coming from, and totally respect that. Hello Beth, it is certainly not my intent to chastise you in anyway for taking photos. And i am glad to hear you asked permission before taking the pictures. Thank You for being responsible and respectful of others. My problem with picture taking is with those who stand back and snap without asking, and then share them without consent. 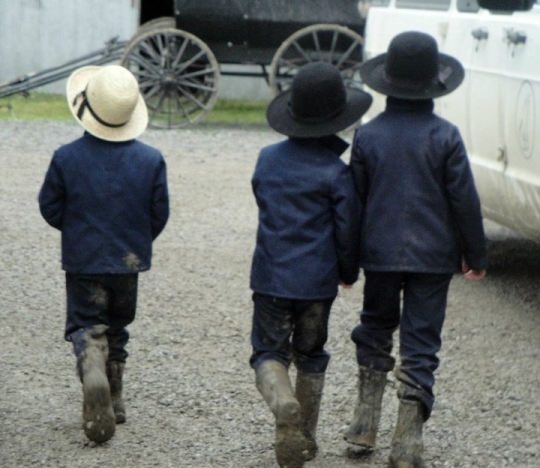 I just happen to live by a more conservative group of Amish who do not like photos taken from any direction, so perhaps I tend to have a bias that causes me to view Amish culture through the lens of the conservative side. But as Erik correctly points out, the Amish are a diverse group, so what may not be accepted in one community may indeed be accepted in another. Lance and Tom, point taken. And I am sorry about what happened with your friend’s wife Lance. I think I had a photo from that same community posted a few years ago, which I removed after you told me about it. That said, that story sounds horrible, and probably anyone that reads it would now feel guilty about looking at Amish photos. Not to sound crass, but I’ve seen enough examples of nonchalance and the opposite, sometimes extreme opposite cases (posing and smiling for the camera), to apply the extreme to everybody. I think Beth’s comment above illustrates a more common attitude. Just to give a couple more examples of that, here are two links, from what seem to be 2 very different communities. I know my two examples don’t instantly justify snapping and posting any kinds of photos, but I do think there is some middle ground. This is probably one of the most-discussed topics here in any case, and I think you’ll find examples on both ends of the spectrum, and a lot in-between. I’d just rather not present this one very strong reaction as the standard for everyone. Not all Amish people practice pain-pulling, nor do many of them have electricity in the home, though you’ll get a few examples of both. However I do take your general point. I’ve also noticed some people seem to get more comfortable around the camera in business settings, as in link one above. If anyone wants more examples I can provide. And all THAT said, I’m glad you commented, and I am going to keep in mind being mindful about permission, faces and so on. I do think Beth took some great photos and sounds like it was a very nice event. I understand that differences exist between Amish communities, but living next to a more conservative group of Amish has caused me to hold a conservative standard for all Amish, and even though I know that some are more progressive I tend to slip back into viewing the Amish more the way I want to see them instead of how some groups really are. I have in the past while visiting a settlement say to myself, these people are not very Amish, but I am not sure what that even means. No one made me the judge to state what is or what is not Amish. So perhaps I need to do a better job of identifying my own biases. On a second note, I have been to that store outside of Perryville KY, it is located in a new settlement. What is interesting about this group, is some are Swiss Amish.Most of my interactions with the Swiss Amish has left me with the impression that Swiss Amish are conservative. Given some in this new community may be more progressive i believe it will be interesting to see how this particular settlement grows. Hey, that KY guy in that newslink is my old neighbor Owen Nisley! I used to haul him regularly when we lived in Holmes. He used to live up the road a spat from Raber’s Bookstore. I was actually thinking about making a drive over there this Saturday, what is your name and i can tell him you said hi if i see him, but only if you would like. As I said, he and his wife are very friendly people. You wont have a hard time getting to know them. 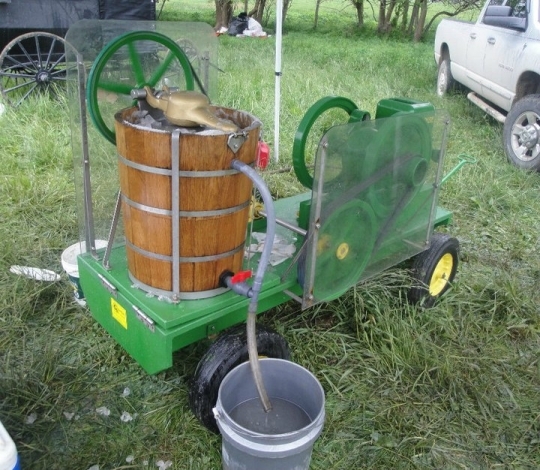 If you like to talk about natural and organic farming, you have that much more going for you. They were doing grass fed (and organic??) Jersey milk in Holmes County if I remember right. I sure will, by the way i checked out your website, a lot of interesting readings, i look forward to reading some more. Actually, one has to have a written model release from a person if the face can be recognized before publishing a photo of someone else (at least if it is sold). A non-profit, educational site like this can get by with a lot, since news photos are sort of exempt from that requirement. But I have wondered if Amishphoto.com (sidebar advertisement here) has signed model releases for all of the people with recognizable faces. :-0 Although the Nebraska Amish are very unlikely to sue, the person selling those photos is setting himself up for a possible lawsuit if one of those persons ever leaves the Amish and decides to make a case of it. (I am thinking in particular of a couple of photos sold there that are sort of vulgarly titled, of little children. If one of them grows up some day and decides to make a case of it, I can imagine the possibility of getting tens or hundreds of thousands for exploiting an innocent childhood moment that someone took advantage of to make a dollar.) I once uploaded a picture with my son in it on a photo exchange site and they made me remove it unless I sent them an official model release. I didnt think it was worth the hassle and removed it. Thank you for the warning Lance. I was about to send Erik some pictures from the Ohio Crippled Children Fund Auction that was in Kidron, OH last Saturday. I tried REALLY hard to avoid any faces of the Amish I took pics with my cell phone. Are you saying that if even pictures of the backs of them would upset them? And how about if any faces show up in a crowd where you were trying to just take the backs of them in the auction settings? Better for me to have not taken them and sharing them at all? Valerie, I doubt you should have much reason to feel guilty (you weren’t the only one there with a cell phone camera, and sounds like you weren’t flashing it in faces), and you are welcome to do whatever you like regarding sending or not sending photos. For some further thoughts related to your questions you can see my (and BethR’s) comment above. Most Amish people don’t want to smile for the camera but there is a more common middle ground closer to what Beth describes above. 1. Never ask an adult (church member) to take their photo. They will politely refuse, but you’d be surprised at the number of tourists who ask — or just walk up and stick a camera in their face. This ain’t Disneyland, and they are not actors! 2. Photos taken from a distance are almost always OK. Example: farmer plowing a field. 3. Photos at events: Just be discrete. The more you visit, the less likely you’ll be to take photos of “normal” activities such as weekly produce and livestock auctions. 4. Photos of children are generally OK, because children have not yet joined the church. 5. Just use common sense, courtesy and be respectful. I’ve missed some GREAT shots because I didn’t want to be rude. 6. NEVER go on private property to take a photo. It’s not that the Amish object to photography (part of my business is taking photographs of furniture for their catalogues), it’s that they view posing for photographs as prideful. Iknow how it feels to be Amish and have your picture taken and be printed in the newspaper out for the whole world to see. It makes you feel good and a little bit important. There was no guilt or condemnation in my heart because I never knew it was taken until it was in print. This is the common over-all feeling of an Amish person regardless of where they come from. I was born and raised in the same class of the Amish as are in Bowling Green, Jamesport and Clark Missouri. As of today, I am not Amish anymore. I have two cameras. I take pictures freely and they know I do and 99% of them love it. It seems to me, taking pictures of people, whether Amish or not and posting them on the internet is extremely inconsiderate. Even if you have permission to take the picture, did you ask if they wanted them posted on the internet? Lance, was it really necessary to tell them about these pictures? If you really care, find an attorney to help motivate this person remove the pictures from the ‘net. Juanita, the quilt pattern is called Star Spin Log Cabin. You should see it in jewel tone colors! I am sorry I told her. I did not know she would react that way. It was the only time I ever saw this person cry, and I am disturbed that I hurt her as I did not have that intent. I did tell them that I asked for the picture to be removed and the picture is still there and the person never replied to me. What else can I do? Lance what did you hope to achieve by telling her? What did you expect her to do about it? By telling her, it was an implied accusation that she had sinned and would possibly be facing disciplinary action. No wonder she cried, you had questioned her morals, her ethics, her commitment to God and her good standing with the church with the fuss you made about her having her photo taken and your desire to have it removed. Truth is, the photo was irrelevent so don’t blame it, you trying to play the hero and defender of the faith at her expence is to blame. Daryl, that sounds a bit extreme. I won’t speak for him but I don’t think Lance was questioning her or implying accusations in any of those ways. I think he did it out of concern, though as he says above he wishes he hadn’t now, which I can understand. But how could she have sinned if she had nothing to do with the taking of the photo. Good Grief, Daryl, lets not over react here. This was not a posed picture, everyone understood that. This was a sneaked picture by a person I had already warned them about. Her reaction was entirely due to a belief that some Amish have that their soul can be stolen from a picture. She was worried about her salvation, not church discipline. Her face is not visible in the picture and I only recognized it because I was very familiar with her horse, as I had been in that buggy pulled by that horse several times. They were told of my dissatisfaction with the person that posted the picture and her lack of removing it. In no way was my friend’s wife threatened with church discipline in this matter. I was very Amish but never knew some of us believe our soul can be stolen by a photo. Okay, well, it is too bad that context has been lost, as I would just go and ask her what made her cry so much. It would be just as cruel as telling her the first time, but there seems to be no end to satisfying you people. Since I soon expect to be going back to church these fine friends of mine, I really do not care what you do with satan’s beast, something I was pointedly asked by the ministers if the internet was just that. I should have known better to mess with satan, I’ll go back to where I belong and serve God there. I know that if I still had an intolerance of being corrected (especially if I didn’t agree with that someone’s opposition), or if I wanted to bolt whenever I was reprimanded, chastised, or unduly berated, I would not feel ready to go back. As some of us know, it takes much more humility than that. I figured “you people” included me. I understand what you are trying to say, but there is much much more to my returning than you will ever know. What has been happening on this blog has had very little to do with it. I have already made the commitment, there simply has been no suitable land for me to buy for the 1.5 yrs I have been looking. I prefer to be with the Amish themselves, holding technology at a distance(including this computer, soon, very soon), spending time in the Bible, obeying God more, sinning less and not wasting time on frivolous arguments. Going back would do all of that and more, which are some of the major reasons I am returning. Maybe it is time to unplug the electricity, put the broadfalls back on and show that commitment for real. It is too easy to be tempted to fight here on the internet, and that fighting has ruined other Amish blogs and forums. I hope God won’t let that happen to this one. One thing I am sure of that there is a LOT of misunderstanding going on here. I hope you will continue to chime in until that day comes. You have been a very powerful contributor and an enormous asset to this blog. You will be missed. Perhaps I have some understanding. Well, maybe a surprising degree. Consider me forever in your corner, encouraging you. Thanks and I hope to not let anyone down, especially God. I appreciate Beth & Eriks words. At the same time, the thought of hurting someone by the pictures I took bothers me. I was more trying to take pics of the event-because it was a good cause. I will probably email them for opinions-hey-they’re not as good as Beths so maybe won’t make it but I was touched by the benefit. We women, can do that-just pondering that thought. 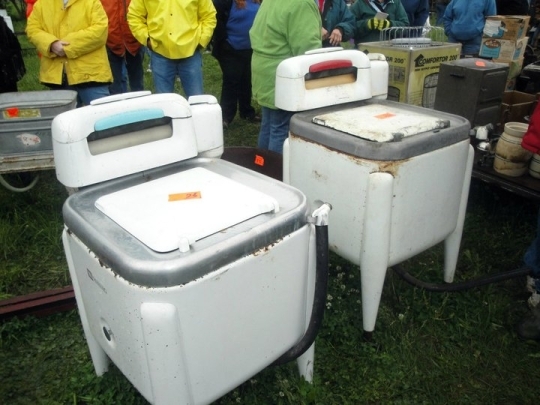 Someone above asked if we outsiders can go to Amish auctions-I believe they welcome us-many products they sell are not even ones they would use. They know Englishers love to buy there items, ALL the auctions I’ve been to have a mixture of Amish, English & Mennonites, & German Baptists as well. Going to another one Saturday I hope, but again, the Mennonite Relief Sale is coming up first weekend in Auguest which is a HUGE event and worth traveling to, Kidron Ohio-raisees money for approx 70 third world countries. I’m not trying to get extra attention by posting, LOL but had a couple more thoughts. 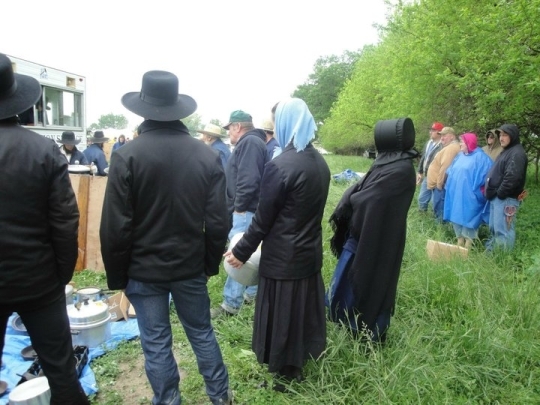 The items at THIS auction that Beth went to do look more like items Amish would use-but there is a growing interest in people living “like” the Amish without being Amish. Wonder if these auctions will start drawing more of those wanting a lifestyle change. Also, in the pictures I noticed the women wear all different color scarves. As much variety as you see in Holmes County, OH of clothing on Amish-they ALL wear scarves like those, but in BLACK only-I see the stores sell other colors but I have never seen them wear any color but black in public. I have a good friend of whom I have happened across a photo on the internet. She is standing with an “outsider,” holding one of her youngsters, and smiling. It sure looks like a pose, but that is completely unacceptable in this particular community. I see no way in having it removed. I certainly hope no one ever tells her or anyone else in that community about it. They would never find out unless an outsider tells them. Although, knowing her, she likely gave consent, thinking no harm could come from it, she would certainly be devastated knowing that it was posted for all to see. If any of the others find out, there’ll be a lot of toungue wagging going on. I do not take pictures, and do not own a camera. I can’t really relate to some people’s desire to have photo documentation of all they see and do, however, despite how others of you might disagree, I feel like, if you MUST take that picture, you would do most Amish a favor by by just taking it while they are minding their own business. Asking permission really create a pickle for them. Especially if you’ve become friends. well, you know. As always, coming to this discussion late. My view on this subject would be this; I wouldn’t take a picture of someone’s face whether they were Amish or not without first asking if it were okay. Granted, I seldom take pictures & if I do it is usually of “events”, “things” or “animals” rather than of “people”. 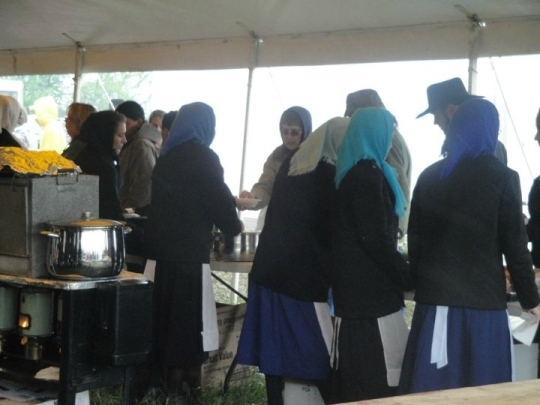 That said, unless I went to an event BECAUSE Amish people were going to be there (which I have never done) I’d feel comfy snapping crowd shots, etc. I wouldn’t take facial pitures of people on purpose, but if afterward I noticed that I could make out someone’s face I wouldn’t get all wound around the axle about it. I wouldn’t post that one to the internet though. Of course, I’m so non-techie that I don’t even know HOW to post pictures on the internet. Ashamed to admit this, but my 71 year old brother knows how …I don’t have a clue! This was a good discussion though, because it lets people be aware of the issue. Good job folks. Well, Amen. I shall copy that quote for a reminder. The values of this worldly culture so promote pride that we hardly see it for what it is. I agree with the majority that one should not take a facial picture of people, especially Amish. The rule, however, is that if you are in public, anyone can legally take your picture. I verified this with a professional photographer, and he said this is true and there is no law against it. He has been confronted by people asking in a confrontational mood “Did you just take my picture?” He would just say “no” and move on. 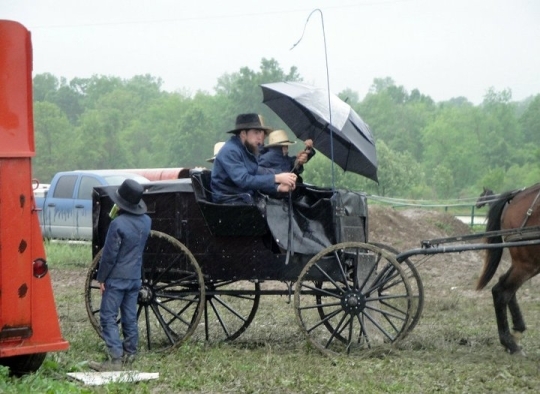 I have had some wonderful opportunities to take some unique pictures of Amish in Lancaster County, and I could have taken the shot…..but I just couldn’t do it. I must respect their views, and the story that Lance posted about the crying Amish woman is a good example as to why. I have hundreds of pictures from the side and from the back and a few taken with a telephoto lens. There may be no law against TAKING a picture of someone, but PUBLISHING that photo could get you in trouble. what “the law” says sort of depends on what state you are in. In my state whenever you go into a sports venue or other public place there is usually a small sign by the gate that says something to the effect of “By entering theses premises you are waiving all rights to your likeness or image for the duration of your visit. You should have no expectation of privacy and all rights to images of attendees are held by the management of these premises and/or their agents”. May not be an exact wording, but that is close. Usually you will see these at sports venues, race tracks, concerts, etc. In some cases it will also be printed on the reverse of your ticket. I wonder how FaceBook gets away with it. Or Paparazzi. Can anyone tell me the date for the 2014 school auction in Bowling Green? Saturday, May 9, 2015 is the Bowling Green, MO Amish School Auction.